Don’t play dirty with these knives! 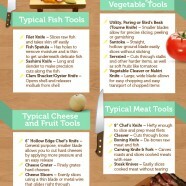 Being a chef at home requires some expertise in the proper tools you choose for your kitchen. Follow this guide and select the right knife that will save you time and effort in meal preparation.